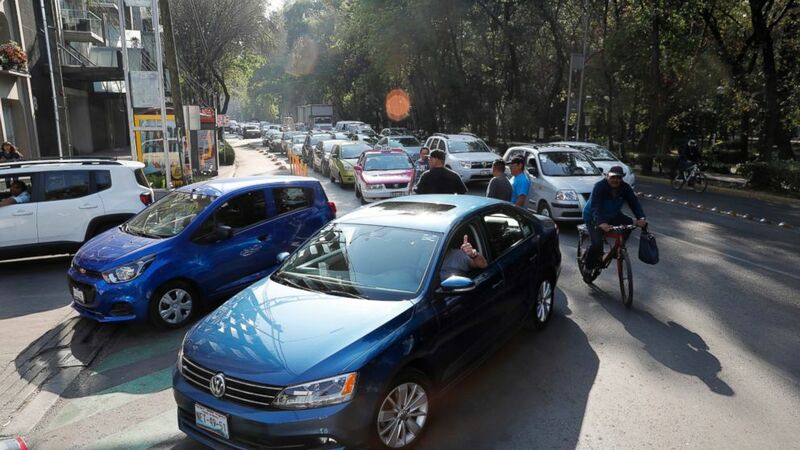 Mexican President Andres Manuel Lopez Obrador is urging the country to remain patient as gasoline shortages stretch into their second week while he battles to stem fuel theft at pipelines. Lines of cars at service stations across Mexico stretch for blocks, with some drivers turning up well before trucks arrive with fuel. In the State of Mexico on Saturday, residents rushed toward a punctured pipeline to fill plastic containers with fuel. In a talk addressing consumer frustrations, Lopez Obrador said Sunday that "there are annoyances, because it's natural." He urged Mexicans to "act with honesty" as he condemned Saturday's rush to fill buckets at the punctured pipeline. The government has enlisted the military to help secure 1,600 kilometers (994 miles) of pipelines in an attempt to crack down on theft.